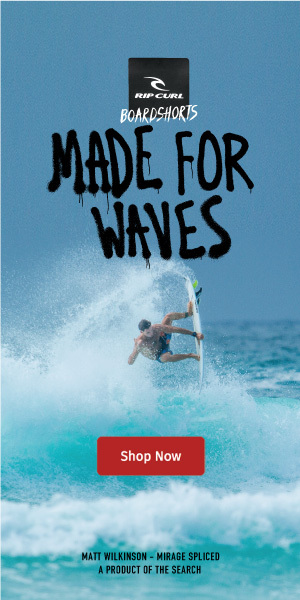 The World Surf League (WSL) today announced the Founders’ Cup of Surfing presented by Michelob ULTRA Pure Gold, a historic region-versus-region teams event featuring a cross-section of the world’s best surfers to be held at Surf Ranch in Lemoore, CA from May 5 - 6, 2018. Five teams - USA, Brazil, Australia, Europe and World - made up of men’s and women’s surfers from the elite WSL Championship Tour, will compete over the two-day event at the world-class, man-made wave venue of Surf Ranch in Lemoore, California. The competition will be hosted against a festival backdrop honoring the culture of surfing - food, music, beverage, art and special guests will all be on site for enjoyment. The Surf Ranch facility, which was revealed online to the public in December 2015, boasts the best man-made wave in history - a 700-yard, high-performance, bi-directional wave featuring barrel sections and maneuver sections. Primarily existing as a testing facility, the Lemoore site has spent the past two years dialing in the technology under the guidance of 11-time WSL Champion Kelly Slater (USA) and feedback from visiting WSL surfers. A private test event last September proved very successful, paving the way for the May Founders’ Cup of Surfing to be the first time the public will be allowed onto the grounds. The Founders’ Cup of Surfing will see the men and women competing alongside one another in the team format, a first for WSL events that will add a new dimension to surf competition. The teams will be made up of three men and two women from each region, and the five-person teams will compete against one another throughout the course of the two-day event. Kelly Slater (USA), 11-time WSL Men’s Champion, will lead the US men’s and women’s team at the Founders’ Cup. Although still recovering from a foot injury suffered last year in South Africa, Slater is eager to rehabilitate in time to compete in the Founders’ Cup. Stephanie Gilmore (AUS), six-time WSL Women’s Champion, has been one of the standouts at the testing facility throughout the past year and the 30-year-old natural-footer will lead the Australian team at the Founders’ Cup this year. Gabriel Medina (BRA), 2014 WSL Men’s Champion and last season’s world runner-up, was victorious at last year’s test event at the Surf Ranch facility and the 24-year-old Brazilian will lead his South American colleagues at the venue in May. Johanne Defay (FRA), perennial threat on the WSL Women’s Championship Tour, has been one of the standouts throughout the 2017 training sessions at the facility. Defay will Captain the European squad at the Founders’ Cup. Jordy Smith (ZAF), universally-regarded as one of the most progressive and powerful surfers on the planet, will captain the five-person World Team this May. Tickets will be available for sale starting March 12. Registration for pre-sale tickets can be found at WSLFoundersCup.com. The Founders’ Cup of Surfing presented by Michelob ULTRA Pure Gold in May will be the first public event held at the facility. The Surf Cup Open, a men’s and women’s Championship Tour event, is scheduled for September 2018. Led by reigning two-time WSL Champions John John Florence (HAW) and Tyler Wright (AUS), the first event of the 2018 WSL Championship Tour will be the Quiksilver and Roxy Pro Gold Coast in Australia from March 11 – 22, 2018.